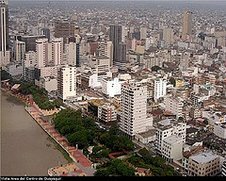 Silvia comes from the largest town in the smallest state in South America. She has studied patisserie and French, and looks forward to completing her degree in communications. Her extended family often get together and there are fifty of them whenever they do. She breeds dogs and has a miniature schnauzer. Her love of dancing took her to the United States where she won a silver medal for Jazz dance. Her tastes also cover Ballet and hip-hop. She likes El Salvador’s national delicacy, pupusas (thick tortillas). When she finishes her studies she hopes to run her own business. Mahatma Gandhi gave her the motto, “Live as though you will die tomorrow. Learn as though you will live forever”. Silvia viene desde el mas grande pueblo en el mas pequeño pais de sudamerica. Ella ha estudiado frances , y piensa estudiar un posgrado en comunicacion. Su extensa familia a veces se une y son aproximadamente 50 familiares. Ella cuida un perro y un cuy . Su amor al baile la llevo a los estados unidos donde gano una medalla de plata por bailar jazz. Tambien baila ballet y hip hop , su plato favorito son las papusas o tortillas. Cuando termine sus estudios ella espera gerenciar su propio negocio . Gandhi le dijo esta frase . Vive lo q puedas q mañana moriras moriras . Aprende q viviras para siempre .